The 1640 siege of Turin was a major action in two distinct wars: the Franco-Spanish War (1635) and the Piedmontese Civil War. Thomas of Savoy and his supporters had seized the city of Turin in 1639, but French troops supporting the Regent Christine continued to hold the citadel. Under normal conditions in this period, it was not possible for a town to be held against a hostile citadel, but the anti-French forces managed to construct barricades that contained the French in the citadel, and spent the winter of 1639–40 under an uneasy truce. On 10 May, the French army under Harcourt and Turenne, supported by troops raised by Regent Christine, invested Turin, and thus started what became one of the most famous (and complicated) military events of the 17th century. After pushing in most of the defenders' outposts and building the usual lines of investment, the besiegers opened fire on 22 May. On 31 May a Spanish army under the governor of Milan, Diego Felipez de Guzmán, Marquis of Leganés, approached, but despite his numerical superiority dared not make a full-scale assault on Harcourt's lines, so he himself began to entrench around the French, starting a weeks-long conflict over individual posts but, despite constant pressure from Prince Thomas, only once risking an outright battle, in mid-July (14 July according to Saluzzo, 11 July according to Hanotaux and Bérenger), when he was thoroughly repulsed. The situation was particularly complicated in that Prince Thomas in Turin continued for weeks to hold some posts outside the city, ensuring some contact with the Spanish and a line of communication for supplies; the last such post fell to Harcourt late in July, and after this, food shortages began to hit the population and garrison - forage for horses ran out first, and Thomas twice attempted sorties, on 23 and 31 July, intended to enable his cavalry to escape, but failing both times. Harcourt was never completely cut off by Leganés from his lines of communication, and he was of course in contact with the citadel, but it is fair to agree with the traditional view that this had now become a four-layered siege: French troops still in the citadel were under attack by Thomas in the city, who was himself besieged by Harcourt and the French army, who was himself besieged by Leganés. It is sometimes suggested that Leganés tried to fire supplies over the French camp into the city, but this may be a legend, built on the fact that the Spanish did maintain written contact with Prince Thomas by messages placed inside cannon-balls and fired over the French heads. Turin eventually had to consider surrender, and Prince Thomas, who had maintained on-off talks with the French and the Regent throughout the siege, opened negotiations with Harcourt, who made an agreement contrary to orders - if the French historian Hanotaux is to be believed, he was unaware of orders en route from Paris that he was to accept nothing from Thomas except pure surrender as a prisoner or agreement to enter French service; according to Saluzzo, Harcourt knew that Cardinal Richelieu's agent Mazarin was on his way with orders but wanted to avoid sharing the glory of a victory with anyone else so hastened to reach a settlement before Mazarin arrived. Whatever the cause, Harcourt agreed a cease-fire on 16 September and granted Thomas honourable terms in the capitulation signed on 20 September, and on 24 September Thomas marched out with his troops and withdrew to Ivrea. In 1635 Turenne served under Cardinal de la Valette in Lorraine and on the Rhine. The siege of Mainz was raised but the French army had to fall back on Metz from want of provisions. In the retreat Turenne measured swords with the famous imperialist General Gallas, and distinguished himself greatly by his courage and skill. The reorganized army took the field again in 1636 and captured Saverne (Zabern), at the storming of which place Turenne was seriously wounded. In 1637 he took part in the campaign of Flanders and was present at the capture of Landrecies (July 26) and in the latter part of 1638, under Duke Bernhard of Saxe-Weimar (1608-1639), he directed the assault of Breisach (reputed the strongest fortress on the upper Rhine), which surrendered on the I7th of December. 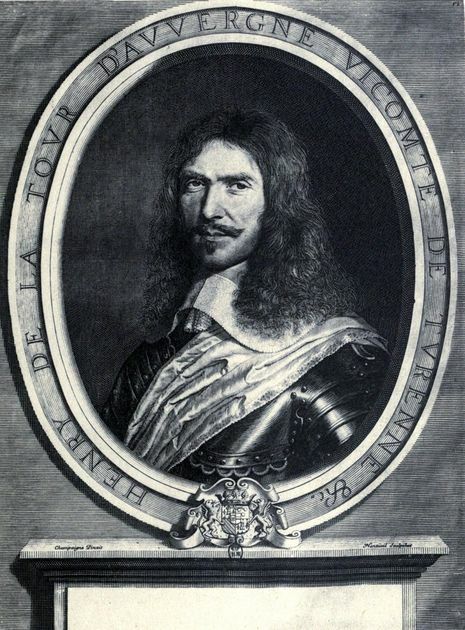 He had now gained a reputation as one of the foremost of the younger generals of France, and Richelieu next employed him in the Italian campaign of 1630-40 under " Cadet la Perle," Henri de Lorraine, count of Harcourt (1601- 1666). On the I9th of November 1639 he fought in the famous rearguard action called the battle of the " Route de Quiers," and during the winter revictualled the citadel of Turin, held by the French against the forces of Prince Thomas of Savoy. 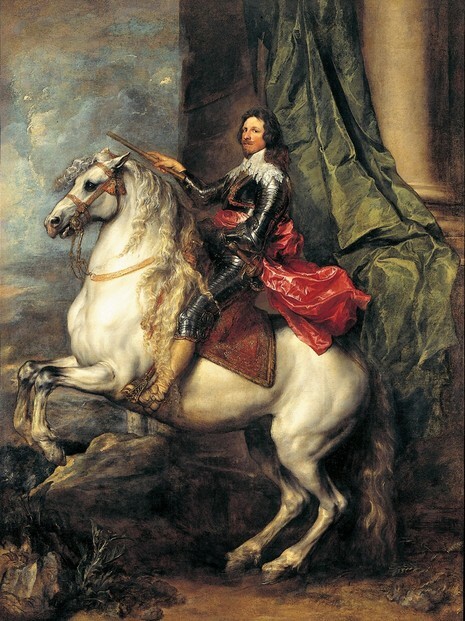 In 1640 Harcourt saved Cásale and besieged Prince Thomas's forces in Turin, which were besieging in their turn another French force in the citadel. The latter held out, while Prince Thomas was forced to surrender on the I7th of September 1640, a fourth army which was investing Harcourt's Lines being at the same time forced to retire. The favourable result of these complicated operations was largely due to Turenne, who had by now become a lieutenant-general. He himself commanded during the campaign of 1641 and took Coni (Cuneo), Ceva and Mondovi. In 1642 he was second in command of the French troops which conquered Roussillon. At this time the conspiracy of Cinq Mars (see France: History) in which Turenne's elder brother, the duke of Bouillon, was implicated, was discovered.